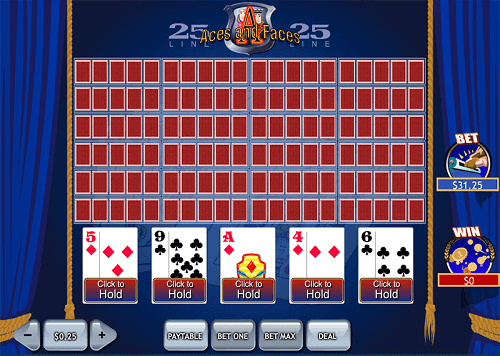 Aces and Faces Video Poker is a standard video poker game based off the classic Jack or Better game. What separates the two are the bonus payouts on the four of a kind hands Aces or Face cards. These are the Jack, Queen, and King cards. In this guide on Aces and Faces, we’ll be looking at the rules of the game, some strategy tips, and the pay tables. For those South African players new to Aces and Faces, we’ll be covering some of the rules of this variation of video poker. Use a deck of 52 cards in the game. 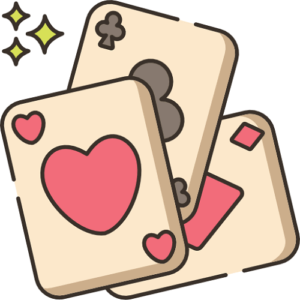 Players can hold as many cards in their hand as they want to build the strongest hand. Remaining playing cards are thrown out and replaced with new ones from the same deck. The minimum and maximum payouts on Aces and Faces are set by the casino operator. However, there is a standard rate you can expect. Usually, with video poker games, they each have different pay tables. The same goes for Aces and Faces video poker. Let’s take a look at a standard pay table. It shows the card combination along with the amount of money you would get with each coin you bet. Pairs, straights, and flushes have a lower payout. Four of a kind combinations have a higher payout. Aces and Faces have the highest payout. Strategies for Aces and Faces are relatively simple compared to other games. Let’s take a look at some common strategies and tips. 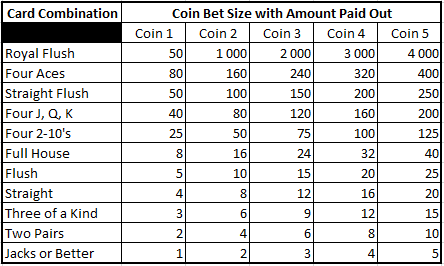 Where you can, always bet max coin. Never break up a paying hand you’ve been dealtunless it has four of the five cards that make up a royal flush. Learn about Jacks or Better video poker with our guide.